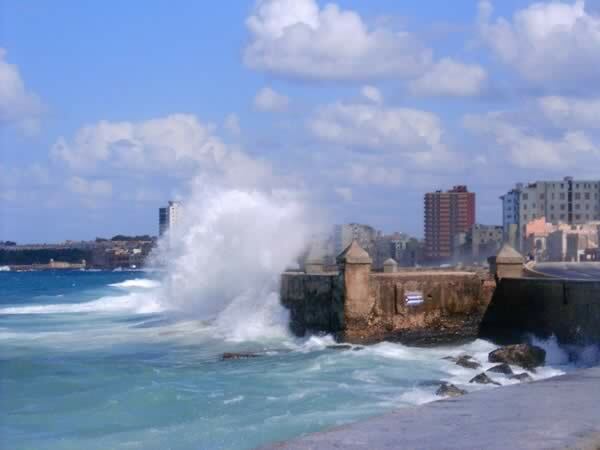 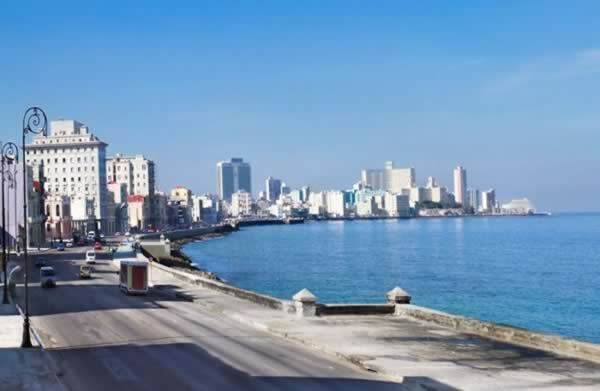 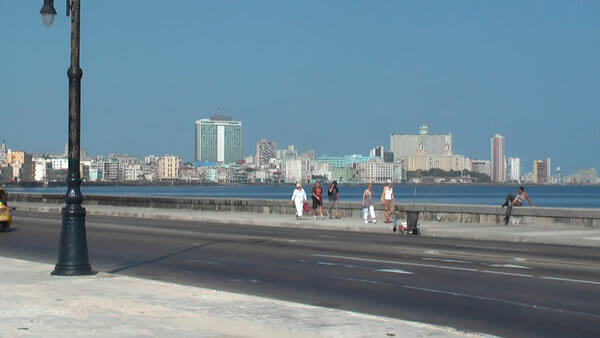 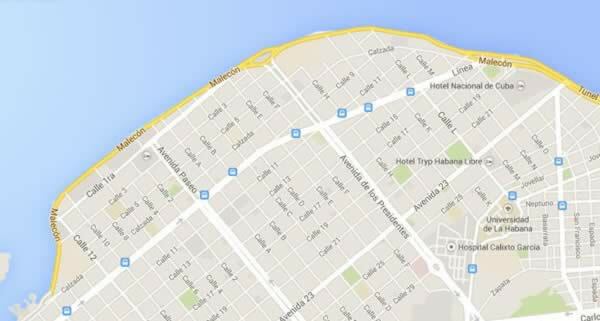 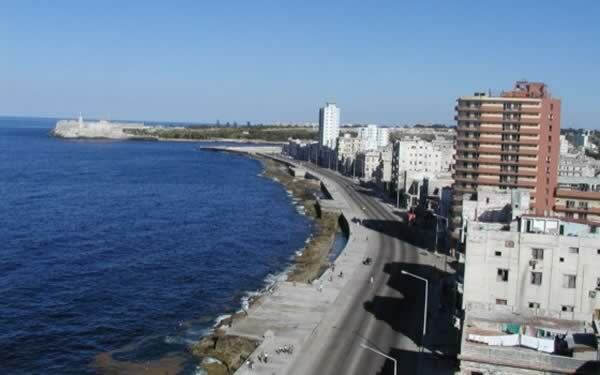 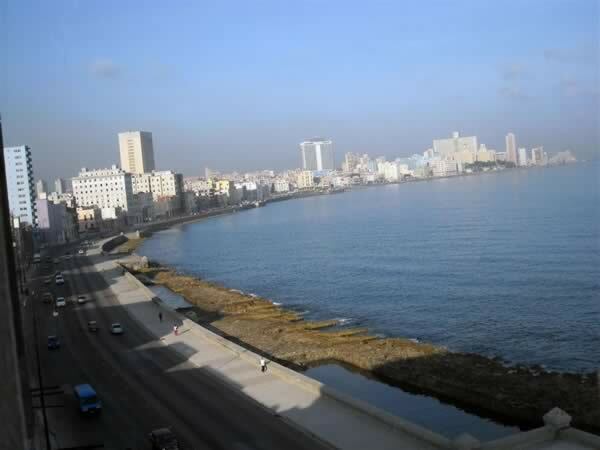 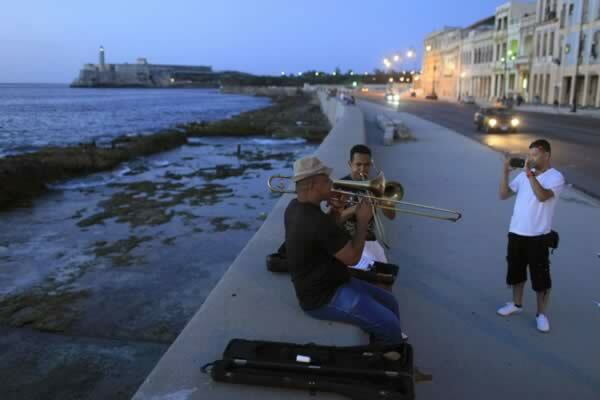 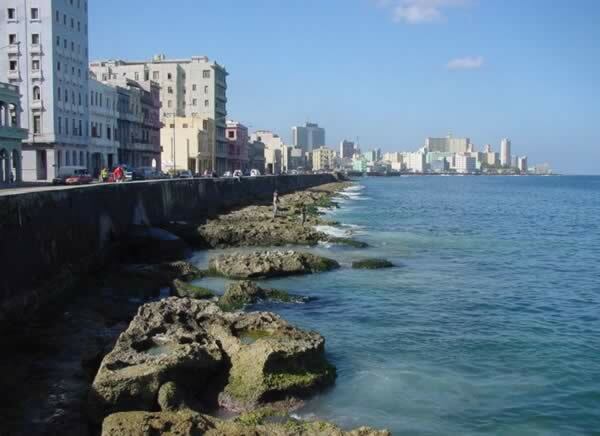 The Malecón is Havana’s 8 km (4 miles) long seafront drive. 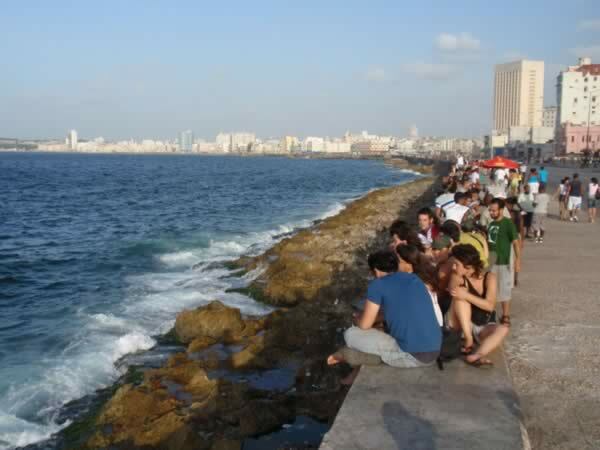 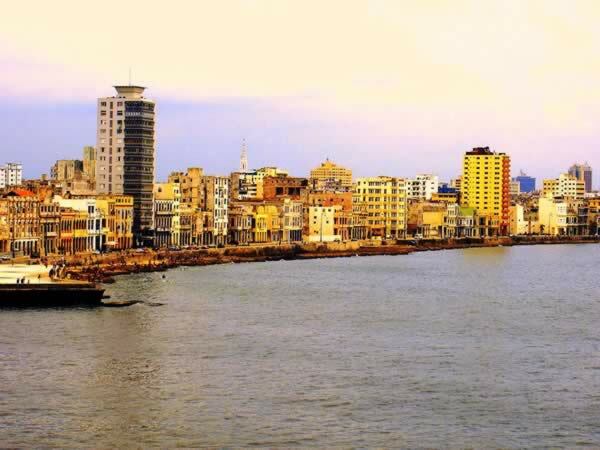 Also known as "El muro del Malecón", literally "embankment" or "seawall", The Malecón is the city’s undisputed social gathering spot. 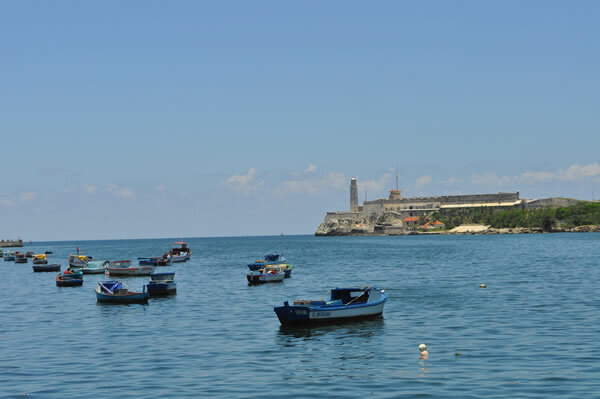 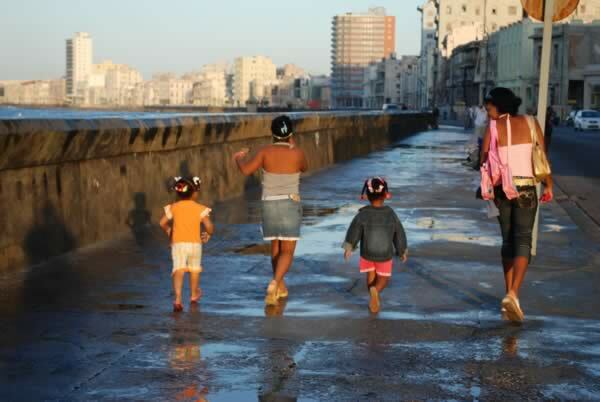 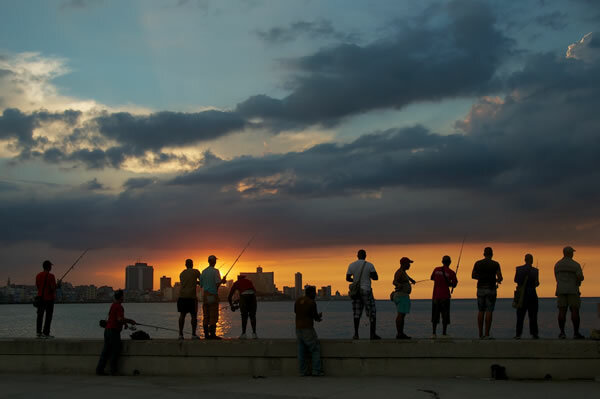 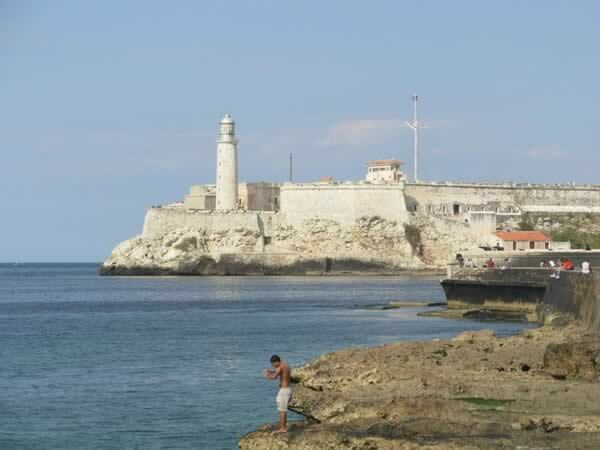 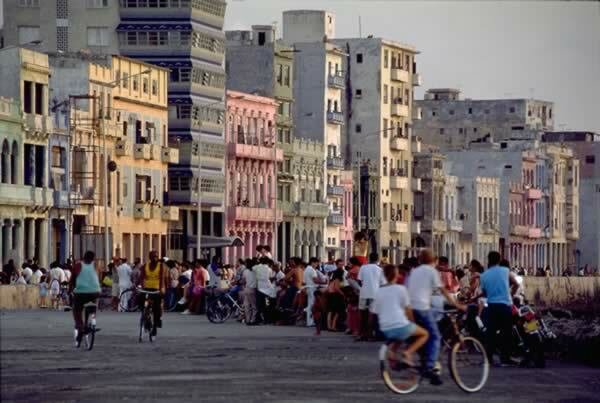 It runs through Old Havana, Centro Havana and Vedado neighborhoods offering a microcosm of Havana life: fishermans tending their lines, peanut (maní) sellers, friends drinking rhum, scores of couples courting and necking, turists making photos or just enjoying the beautiful sea view.